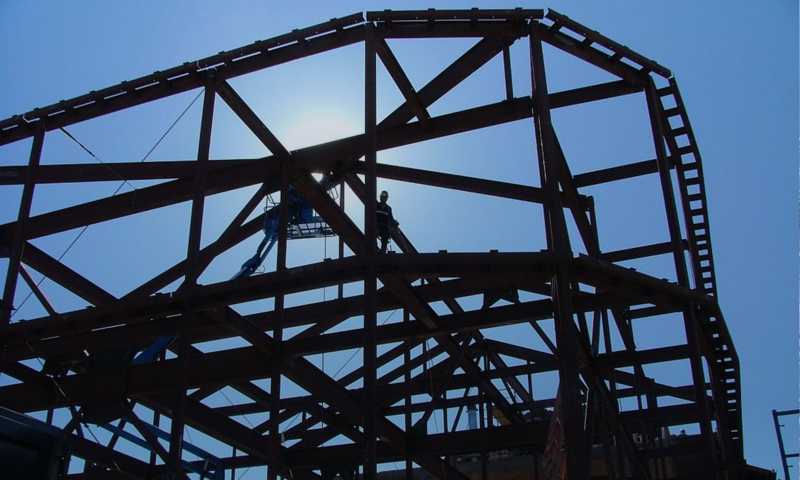 Special Steel Used in Projects – Kern Steel Fabrication, Inc.
From Bid to Installation you can count on Kern Steel to get your project done right. General Contractor Hartigan/Foley did. Jerry Brown the superintendent for the project said, “The scheduling, erection and attention to detail and cleanliness of the sight were exactly what we needed.” Hartigan/Foley hired Kern Steel to do a project for the Patagonia Headquarters in Ventura, CA. They came to Kern Steel needing a parking lot canopy that would hold solar panels. Patagonia Headquarters wanted a parking structure that would provide shade for employees to park under as well as produce electricity for the building. Patagonia also wanted corrosion resistant steel. 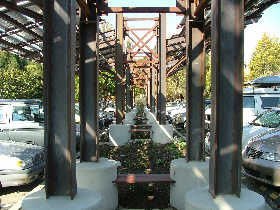 This is a special type of steel that was developed to eliminate the need for painting, and has a rust like appearance. It is also known as Grade A588 cor-ten steel and is popularly used in outdoor sculptures and as exterior facades for its rustic antique appearance. Brown recalls, “This was a custom installation and had to be aesthetically pleasing and Kern Steel filled the bill very well.” Before this project Hartigan/Foley and Kern Steel worked together on the Lost Arrow Conference Building. Since successfully working with Hartigan/Foley on a number of projects, Kern Steel has been asked to bid some of Hartigan/Foley’s other projects.